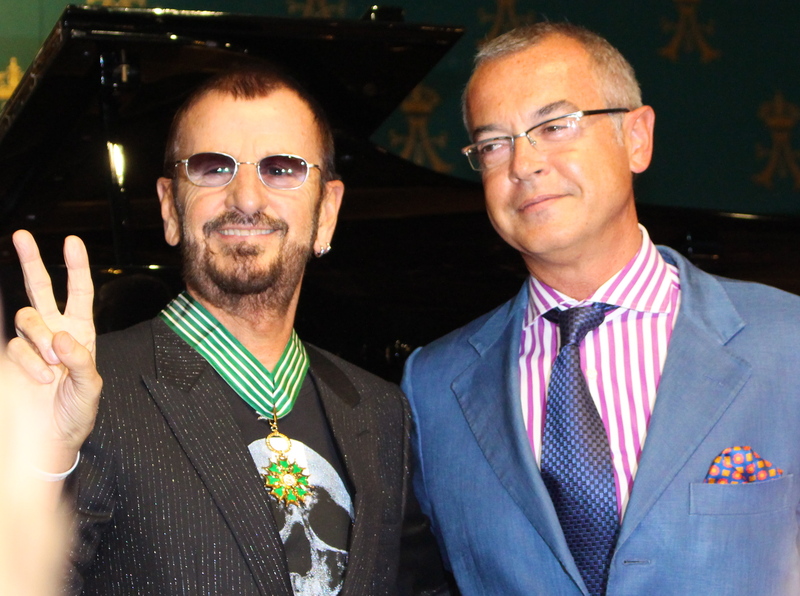 Ringo received the French decoration Medal of Commander of Arts & Letters from the hands of His Excellency Hugues Moret, Ambassador of France in Monaco, whose elaborated speech appropriately interspersed several of the Beatles songs lyrics. 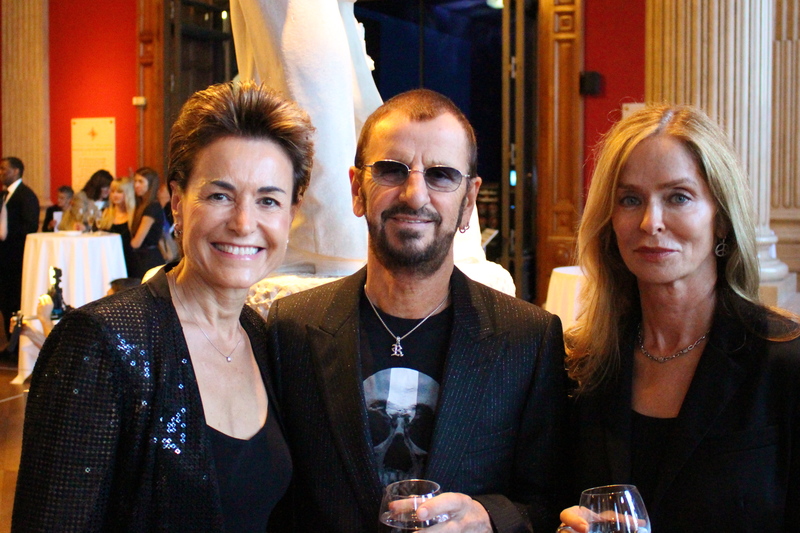 There was a real frenzy among the privileged invited guests when Ringo took the stage, as he is such a superstar. He proved to be a man of few words in his acceptation address and officially inaugurated the exhibition. 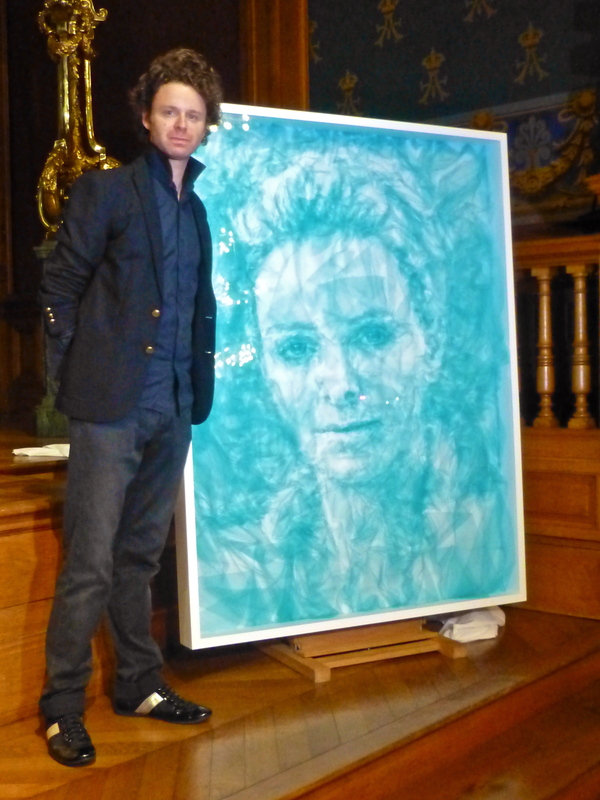 Moments later Mr Franceso Grosoli of Barclays Monaco, sponsors of the Cocktail that followed, unveiled a portrait in Tulle of HSH Princess Charlene by British artist Benjamin Shine, that will be placed at Barclays Bank by a Shine’s portrait of HSH Prince Albert. The young artist exhibited some his other pieces in gauzy tulle fabric, that he makes by carefully folding and creasing the fine and extremely lightweight material typically used in a ballerina’s dress, creating the lights, shadows and tones to draw the very intricate and detailed lines of his portraits, truly mind blowing! 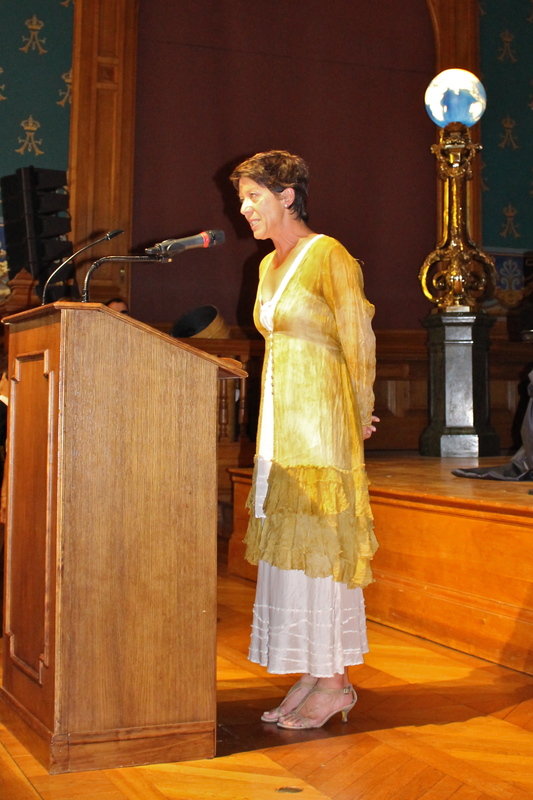 A brief presentation followed by artist Sybille Saggers Redford, wife of actor and director Robert Redford, who is a true supporter of this exhibition. Born in 1957 in Hamburg, Germany, painting and Sketching came to her naturally as a child. As a teenager she travelled extensively with her family throughout the world and she started to admire the depth and mystery of older cultures and traditions and would record her experiences through painting and sketching. Szaggars moved to Utah full time in the early 90’s where she set up her painting studio in the mountain village of Sundance where she met her husband. In 2010, Szaggars Redford started to experiment with the elements of rain and watercolour and created her first rain video. She continued to develop her work along with mixed media installations and began collaborating with the Icelandic composer and musician David Thor Jonsson. 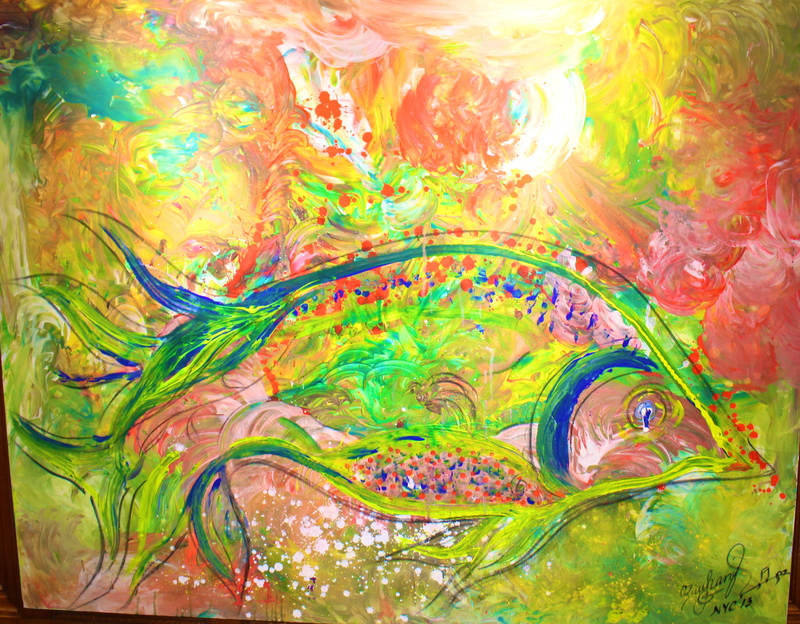 The fruit of that collaboration was first exhibited in 2012 at Niman Fine Art in Santa Fe, New Mexico. In 2013 Sibylle Szaggars Redford and David Thor Jonsson created a concept for performance art titled “THE WAY OF THE RAIN” as her way to honour our planet earth and it’s universal elements. 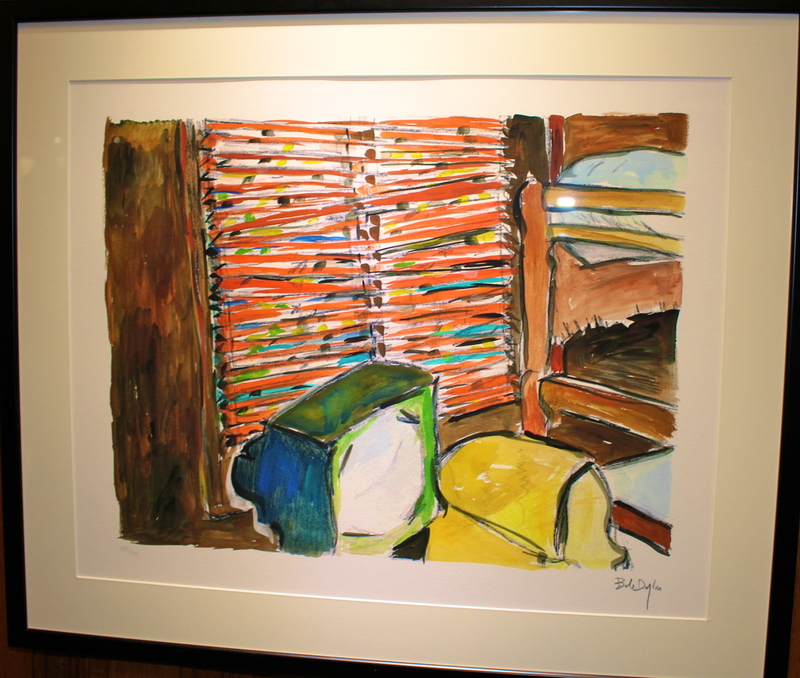 In this piece Szaggars Redford created the stage design – and a new rain video. David Thor Jonsson composed the score and performed live. They created a mystical journey where they combined music, dance, words, light, art and film. This performance piece was brought on to the black box stage of the Hiland Theatre in Albuquerque New Mexico during the Film and Media Festival in July of 2013. Szaggars has exhibited internationally in Germany, England, Italy, USA, Peru, Japan, Singapore, Monaco and France. Ernesto Mayans Gallery in Santa Fe, New Mexico, Linda Fairchild Contemporary Art, San Francisco, California and the Forum Kamil Gallery in Monaco represent her. 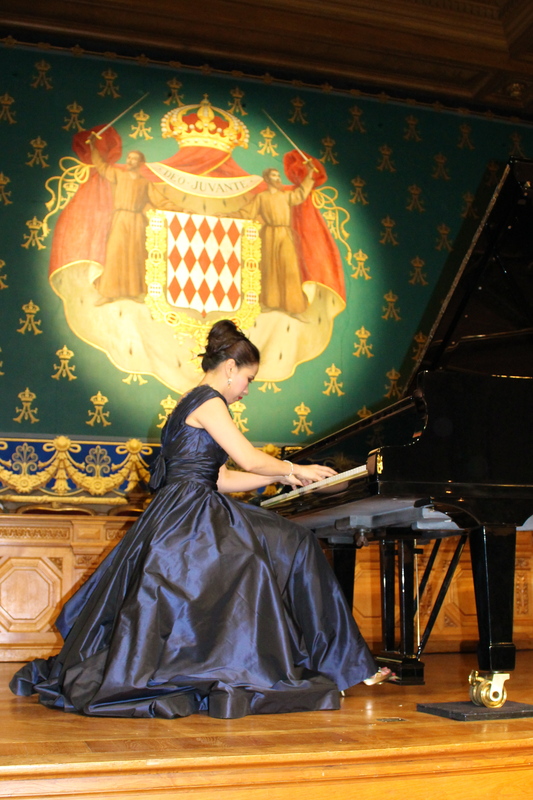 A piano recital by beautiful and talented Vietnamese artist Chau-Giang Thi Nguyen delighted the audience, who could also discover a few of her recent paintings like the one entitled Fish an acrylic on canvas from 2013. This multifaceted artist wanted to portray the ocean at the same time mysterious, beautiful monstrous, arousing thousands of emotions. The ALTERNATIVELIGHT (3) project organized by the Cultural Association ARCOL, reunited 27 artists from Monaco and around the world at the Oceanographic Museum, proposing to the public to discover the “secret gardens” of artists who explore other universes different from those of their customary creations, with works of art never exposed before. Among them you find designers, writers, musicians, dancers, actors, like Sidney Guillemin, Henri Lorenzi, Owanto, David Shilling, Benjamin Shine, Sybille Szaggards Redford, Fiona AI Bubble, Ana Tzarev and many more. 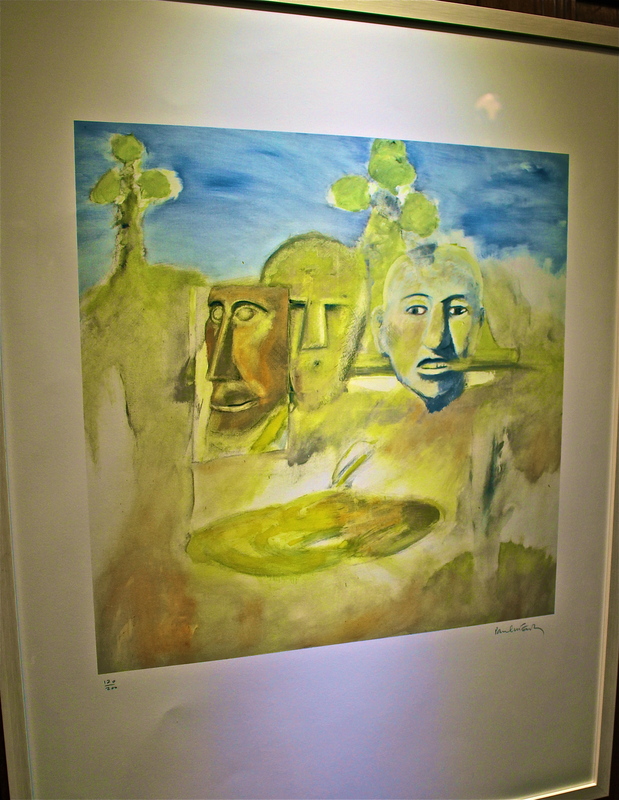 Plus a Rock Art Star’s Corner with pieces by Ringo Starr, Paul McCartney, Bob Dylan, Graham Nash and Ronnie Wood, secured by Monegasque resident and art lover Roger Shine. Ringo Starr MBE -Most Excellent Order of the British Empire (Liverpool, UK 1940), presented two pieces from 2005, one is Chef Alamode the perfect kitchen piece because everyone knows there is nothing better than a French chef. 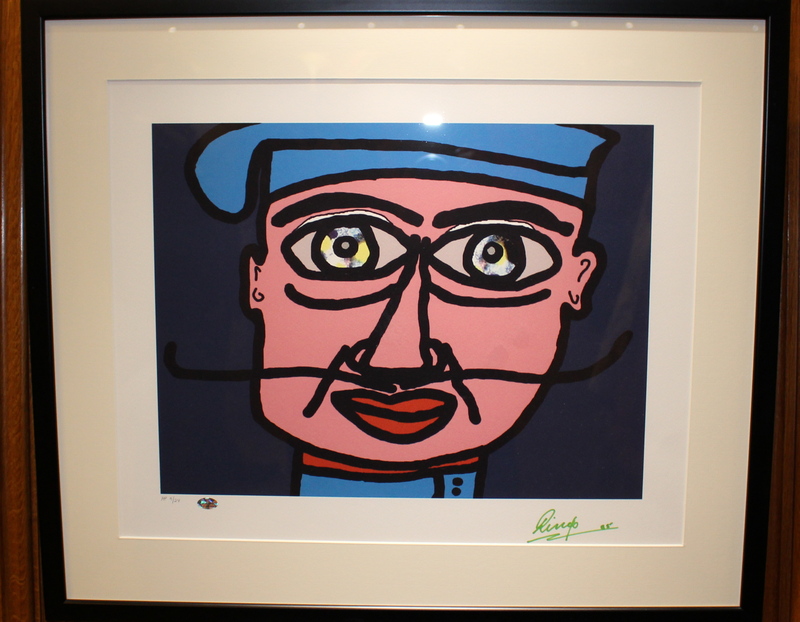 Ringo has said of this piece, “This one is Chef Alamode because he looks like a chef.” The other entitled Is it Time? could have many interpretations, like the passing of time, or is it the time that a drummer is responsible for keeping, or maybe is it time for Ringo to release his art? Graham Nash OBE – Officer of the British Empire (Blackpool, Lancashire, UK 1942) is a musician, songwriter, activist, digital photographer, co founder of the Hollies as well as Crosby, Stills, and Nash. Graham has been an artist since the young age of 10. 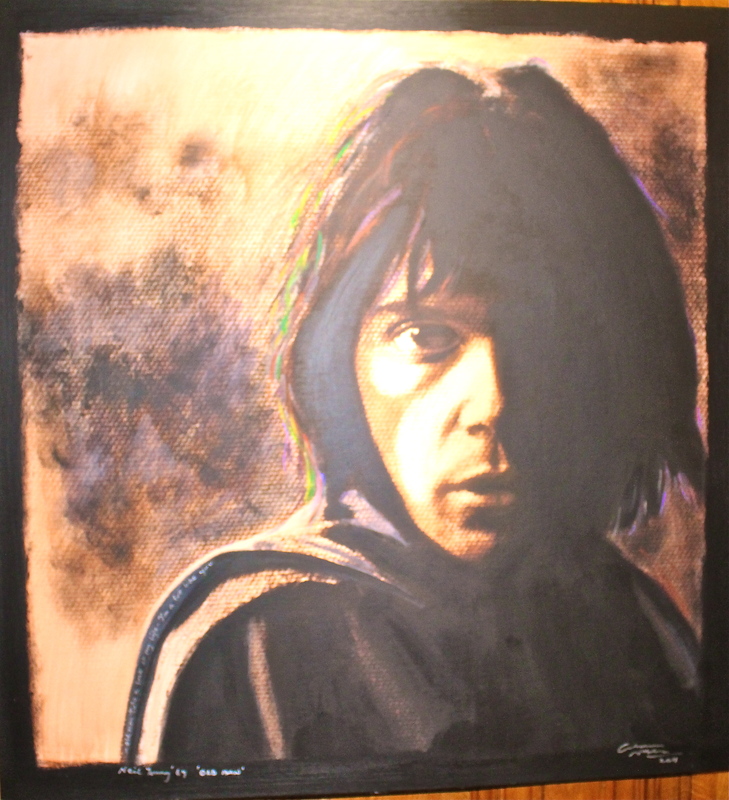 Originally working with photography he later experimented with inks, pastels and acrylics incorporating different techniques and taking photography to a whole new level, as we can see in his exhibited portrait of Neil Young. 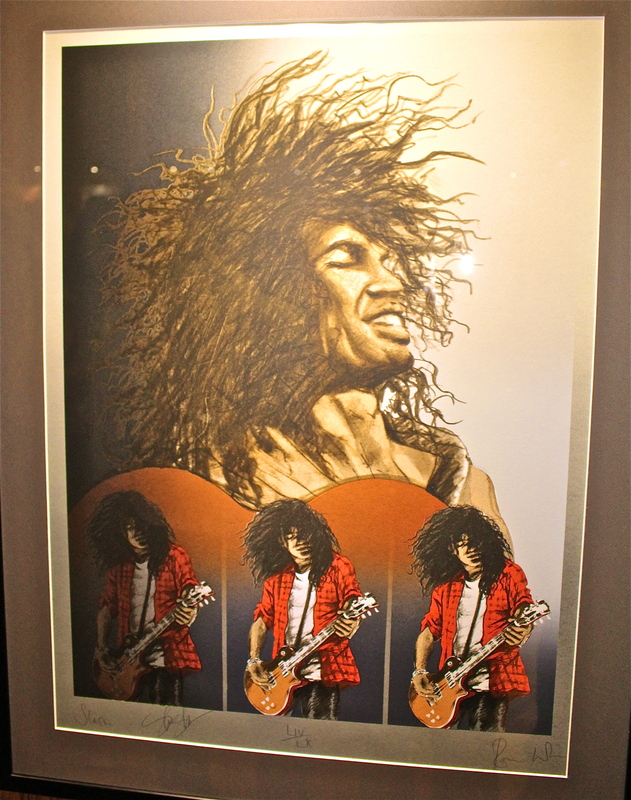 Ronnie Wood (Middlesex, UK 1947) is exposing his pieces Duke Ellington & Slash. Well before pursuing a musical career, Ronnie attended the Ealing College of art in London and has been painting for more than half a century. Ronnie captured in many mediums legendary performers from Rock/N/Roll to Rhythm and blues artists, many of whom are friends and admired colleagues. He paints a tribute to one of his favourite performers The Duke. Ronnie’s straightforward style captures the intimacy he has with each subject. The intensity he brings to the guitar gives rhythmic line and vibrant colours, co-signed by Slash. It is impossible to talk about Ringo Starr and Paul McCartney without saying a few words about The Beatles. It was by 1960 that the group settled on their new nickname, the Beatles, and George Harrison, Stuart Sutcliffe and Pete Best rounded out the group. The soon-to-be legendary “mod squad” started out in the 1960s in Hamburg, Germany, spending two years playing various nightclubs there. Sutcliffe soon left the band, leaving McCartney to pick up the slack as the group’s bass player. While in Hamburg, the Beatles recorded their first tracks, calling the attention of Brian Epstein, who quickly signed on as the band’s manager. It wasn’t long before the Beatles headed back to their home country and began working their way into the popular consciousness there. And Best’s replacement by drummer Ringo Starr only helped the group gain steam. The impact that the Beatles would ultimately have on ’60s popular culture is hard to overstate. “Beatle mania” soon gripped the world, and when the group made their debut in America, the media dubbed the period of musical crossover between the two nations the “British Invasion.” Little could they know at the time, this era would truly have a lasting impact on rock ‘n’ roll. During a decade full of political and social strife, the Beatles expressed the broader hopes of their contemporaries for peace, love and rock ‘n’ roll. McCartney in particular would write more hits for the band than any other member. Songs like “Yesterday,” “Hey Jude,” “Let It Be,” “Hello, Goodbye” and “Yellow Submarine” would provide the soundtrack for a generation.